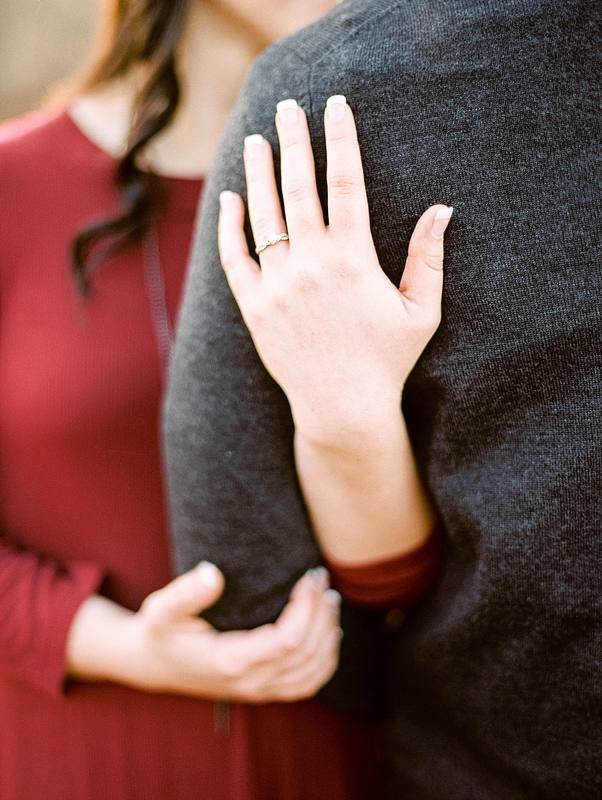 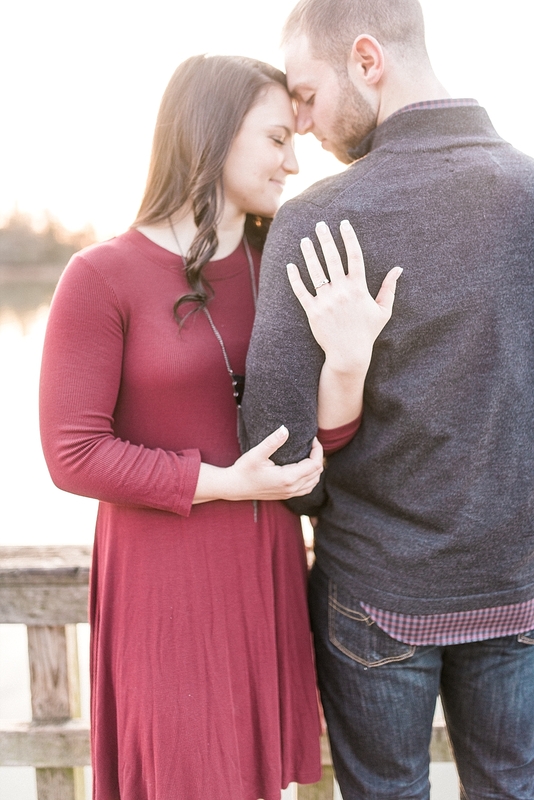 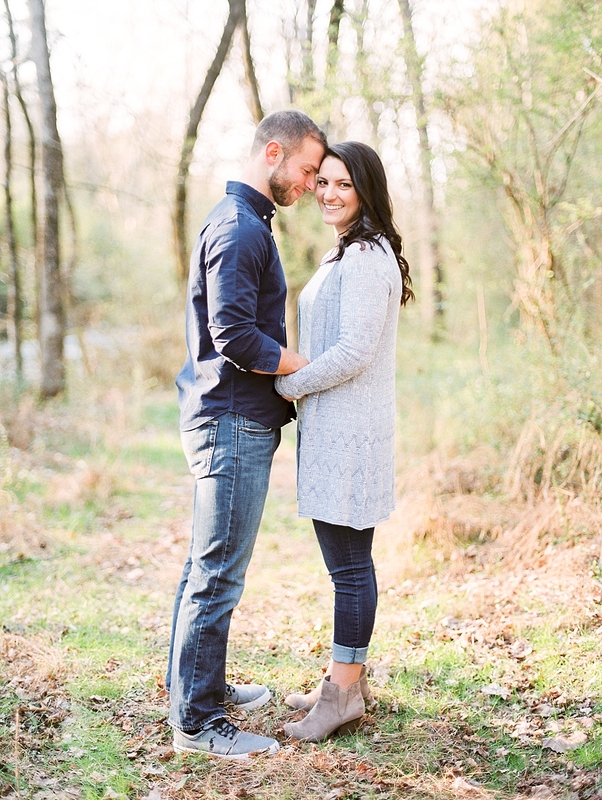 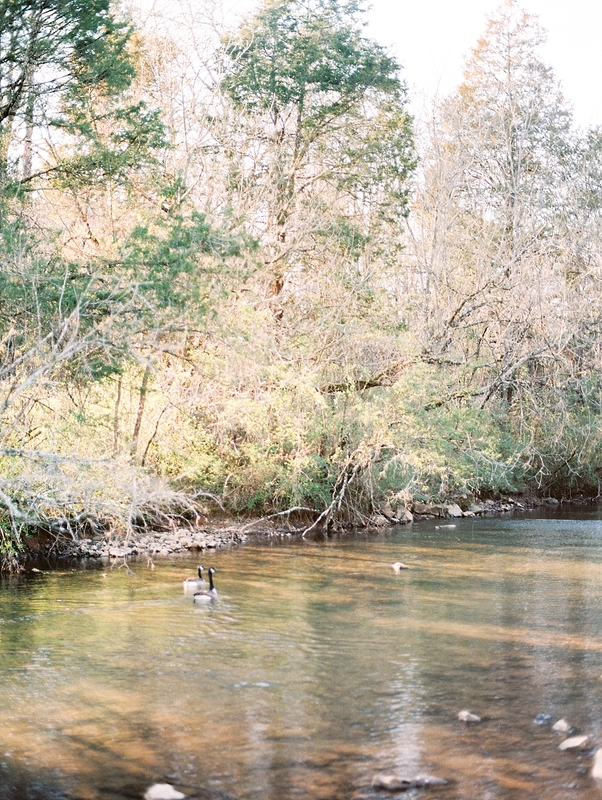 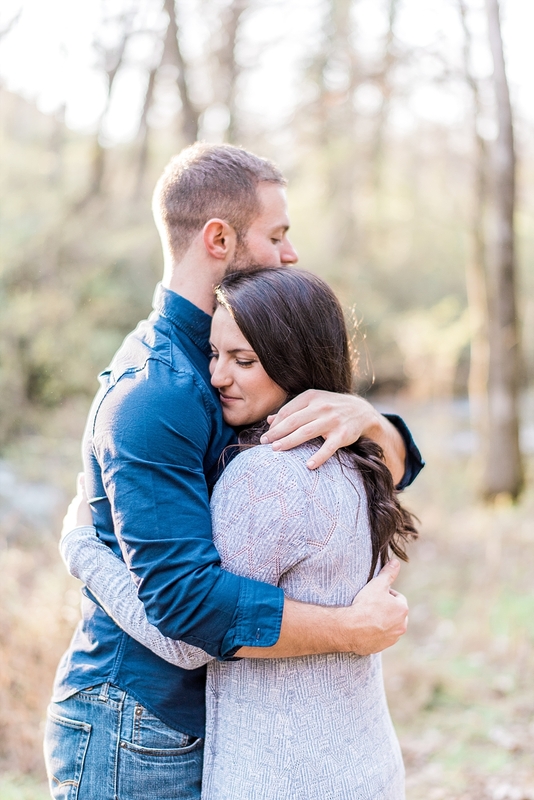 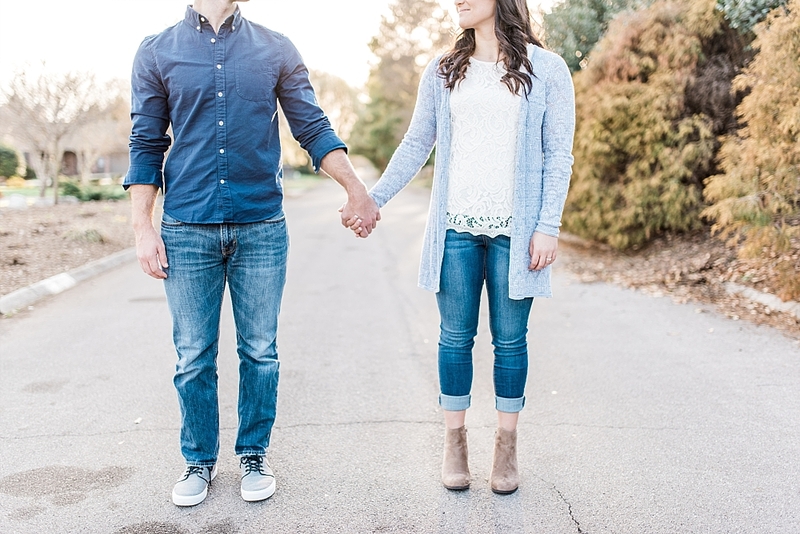 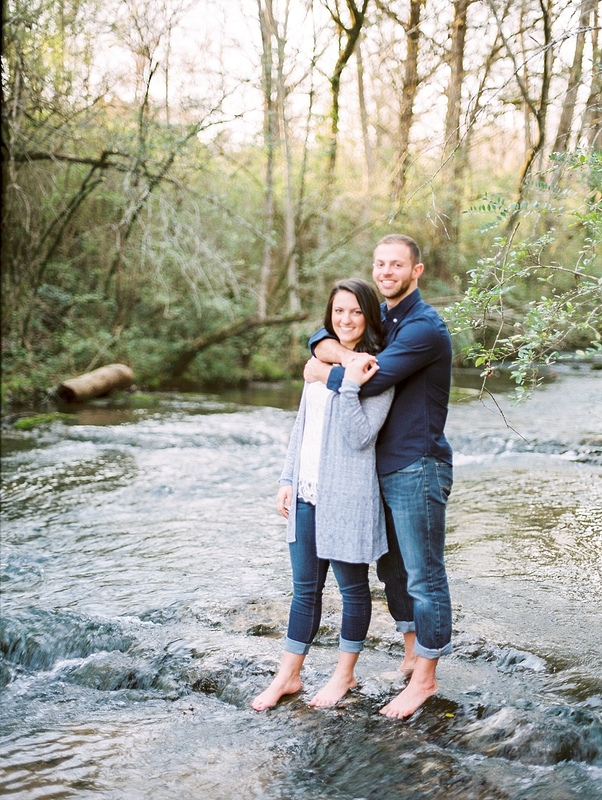 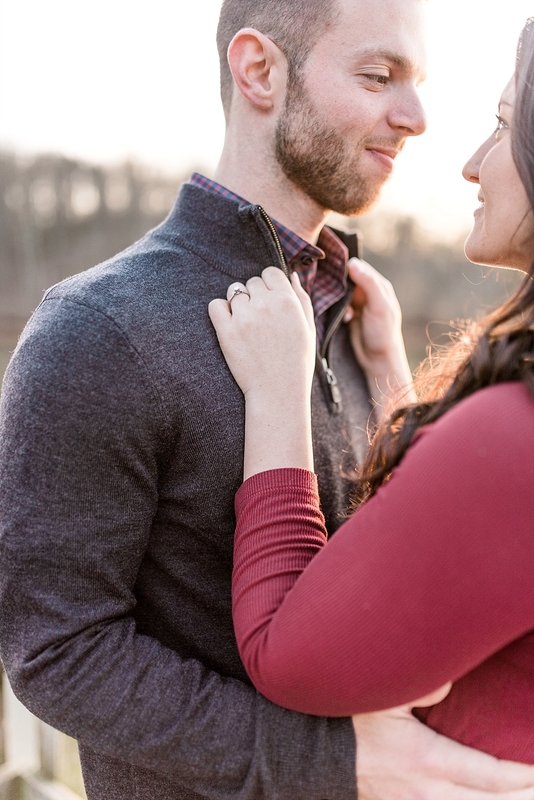 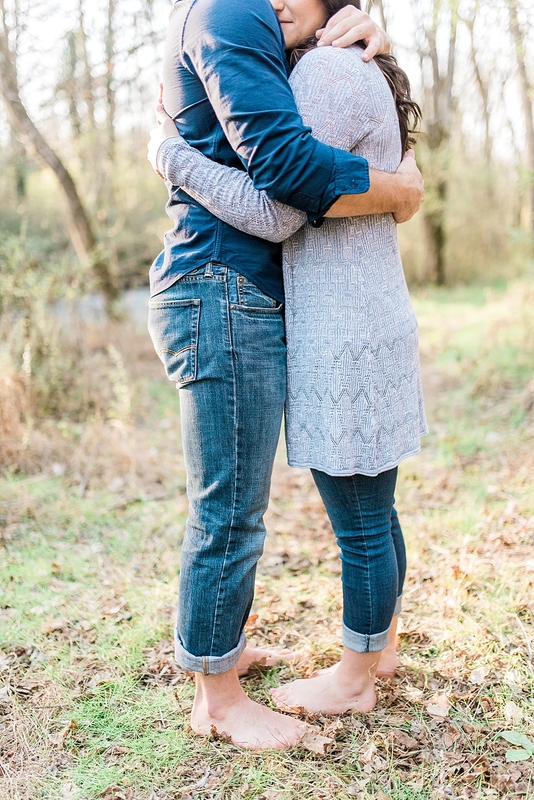 We didn't have to travel far for this couple's photos, but we love that they chose to use locations in Farragut for the backdrop of this engagement. 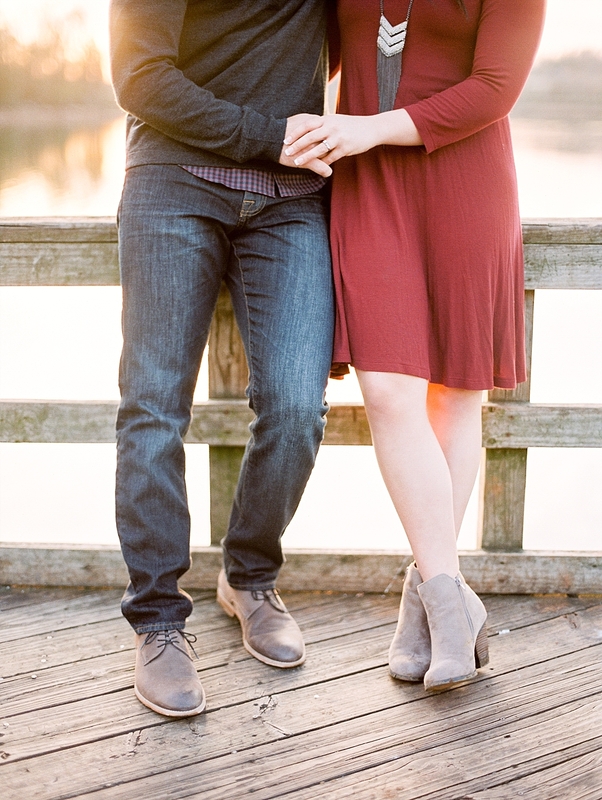 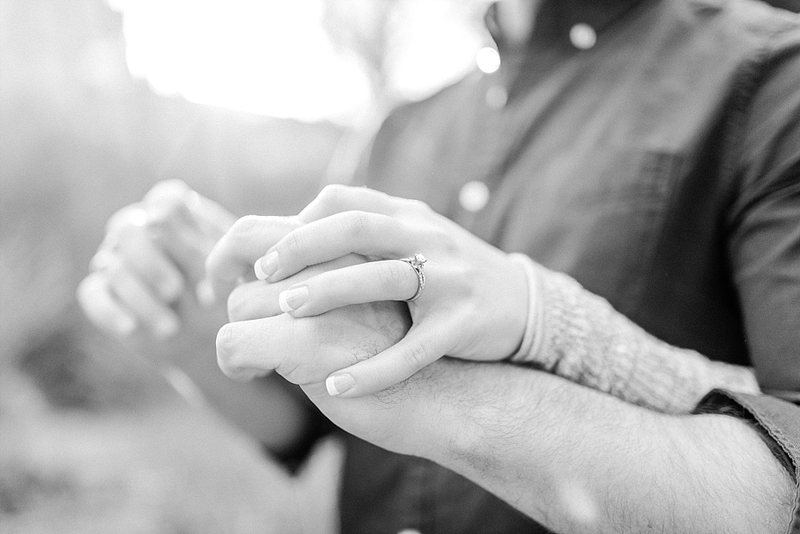 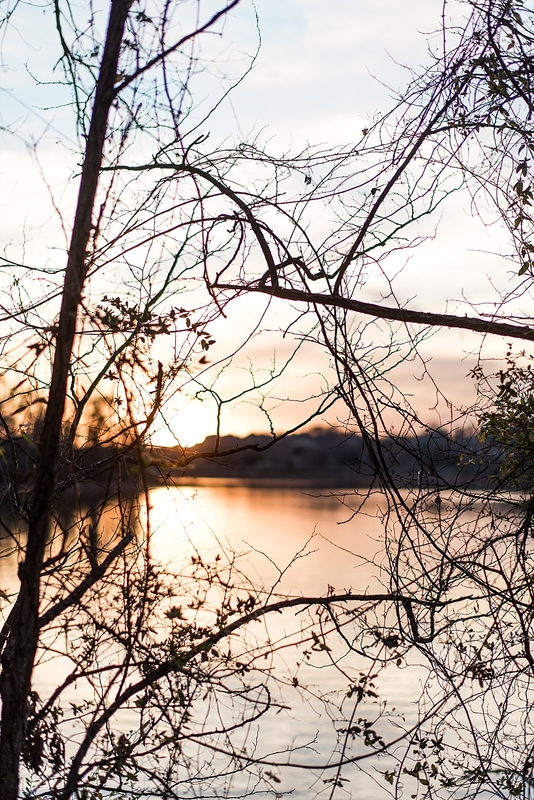 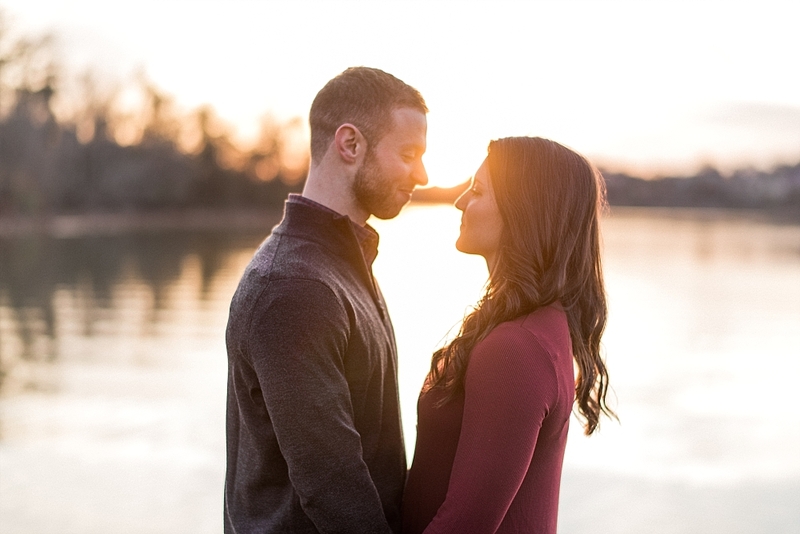 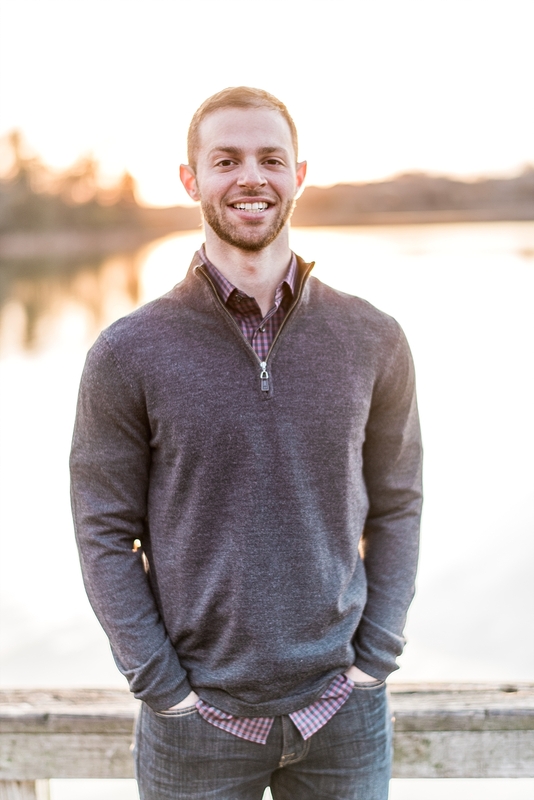 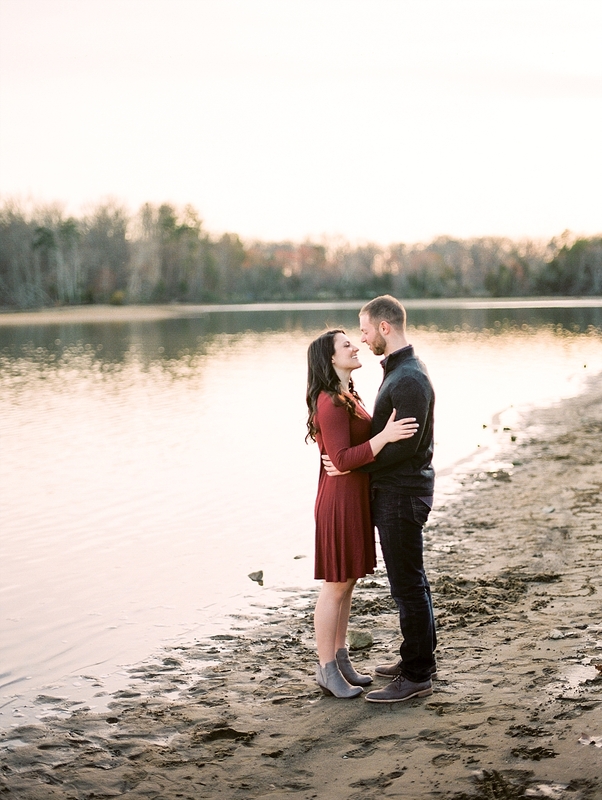 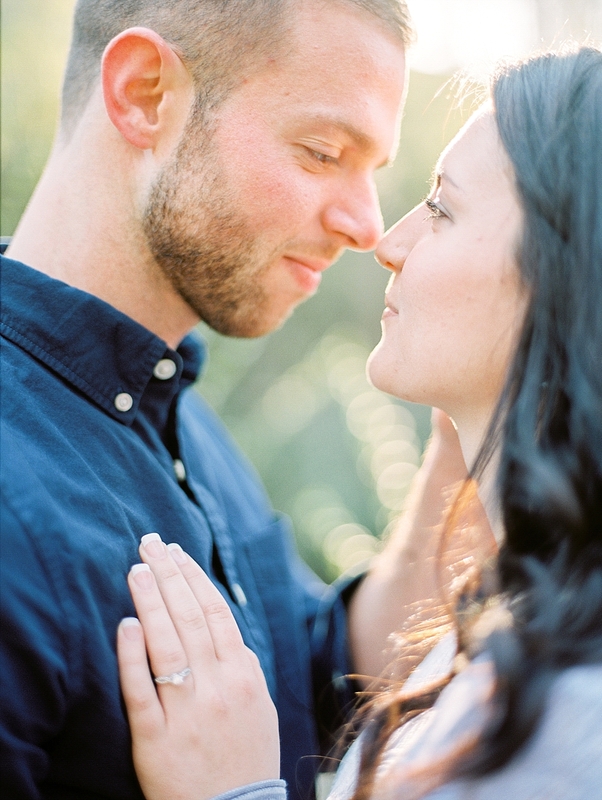 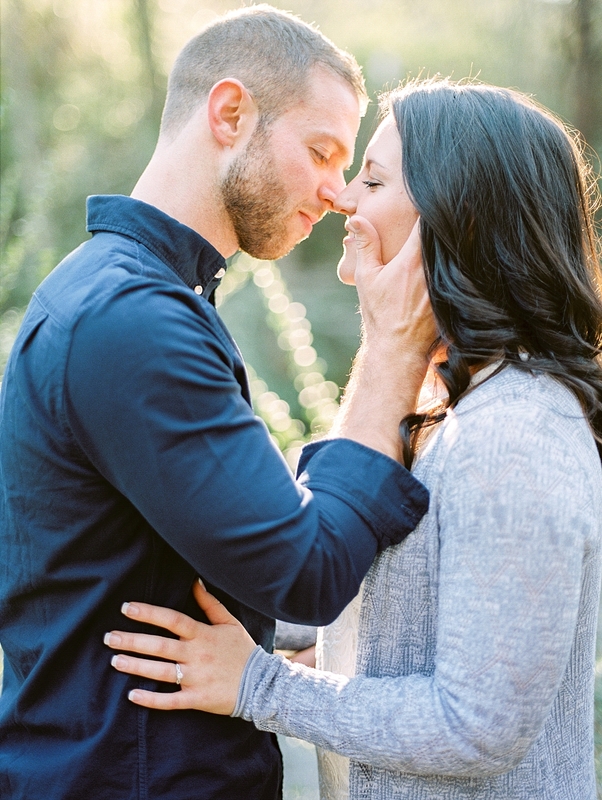 Kristina and Ben, who were engaged in December and did have to make the journey from Illinois, wanted to have sentimental and meaningful locations, and the most important must have was the lake. 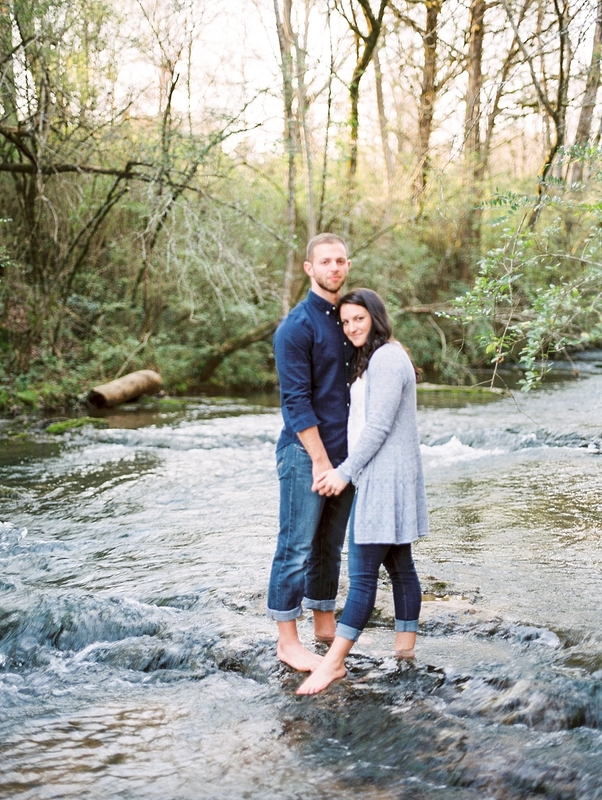 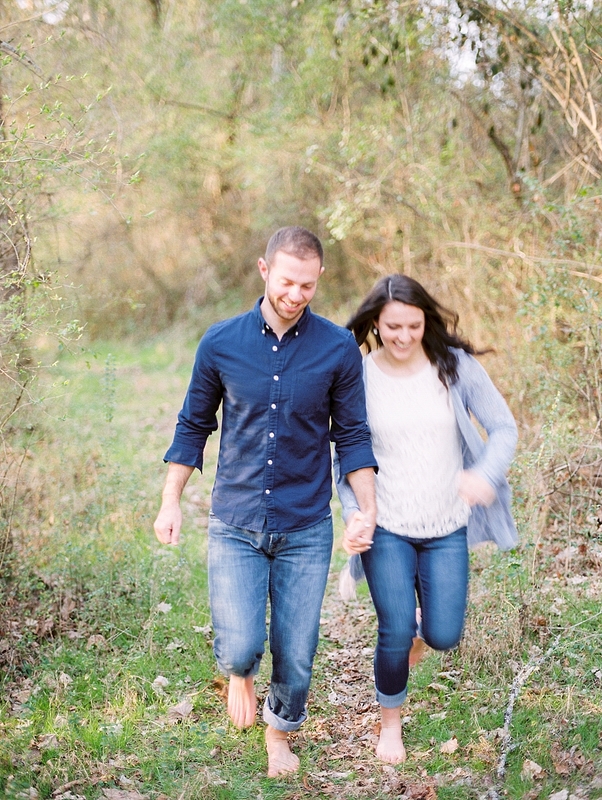 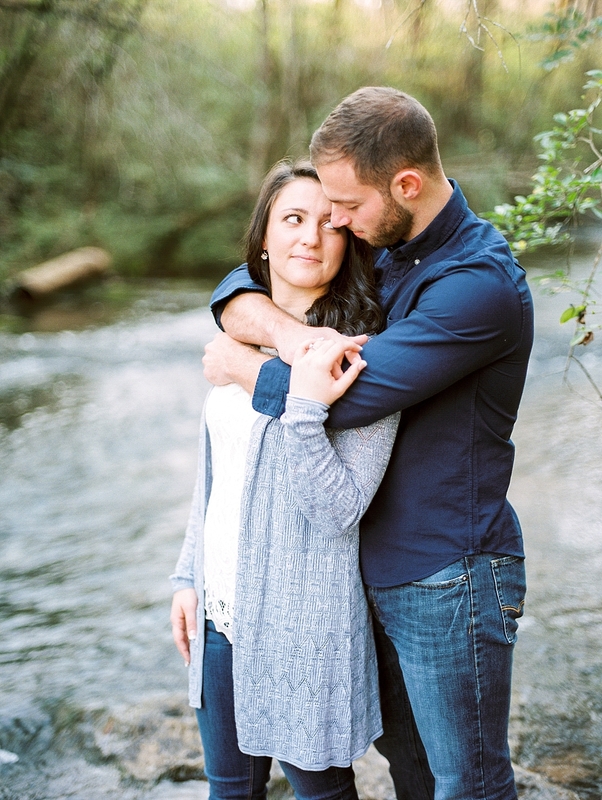 We ventured into the woods by Kristina's family home with this super active couple for some playful and romantic shots creek side. 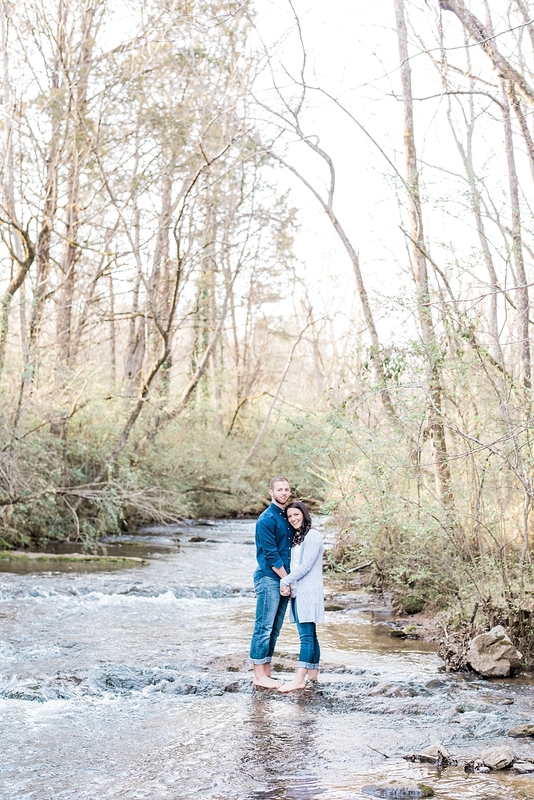 We were thrilled when they volunteered to get in the creek despite the somewhat chilly weather, so we could catch some beautiful moments of the two. 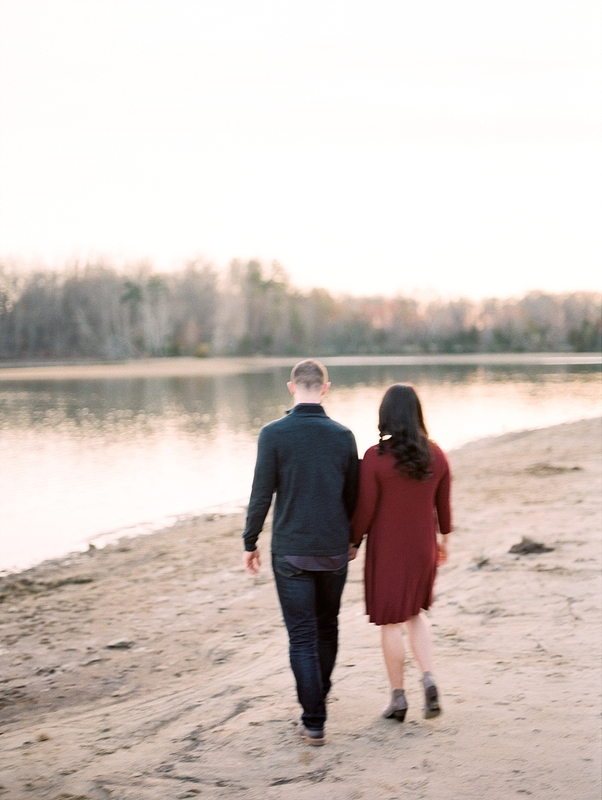 Our final planned stop took us to Cove Park, where Kristina and Ben strolled together on the sand; however, we spotted a beautiful dock on the way here and just couldn't get the image of the sun setting on the lake out of our minds, so we asked if the two were down for some additional photos. 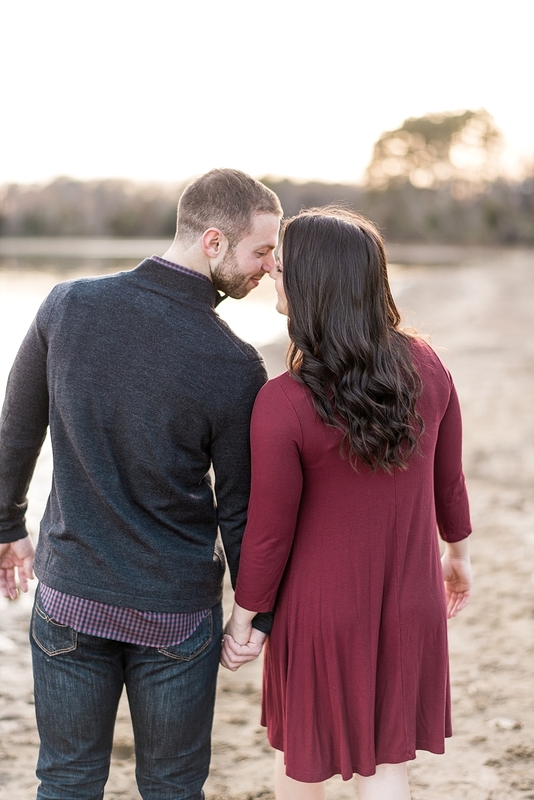 What a great decision this was! 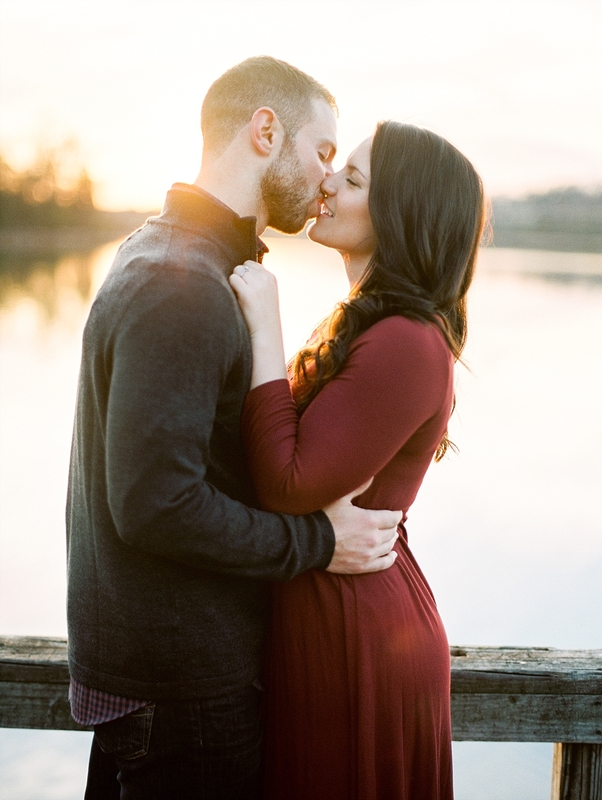 There is nothing like a sunset glimmering on the water with a gorgeous couple in the foreground! 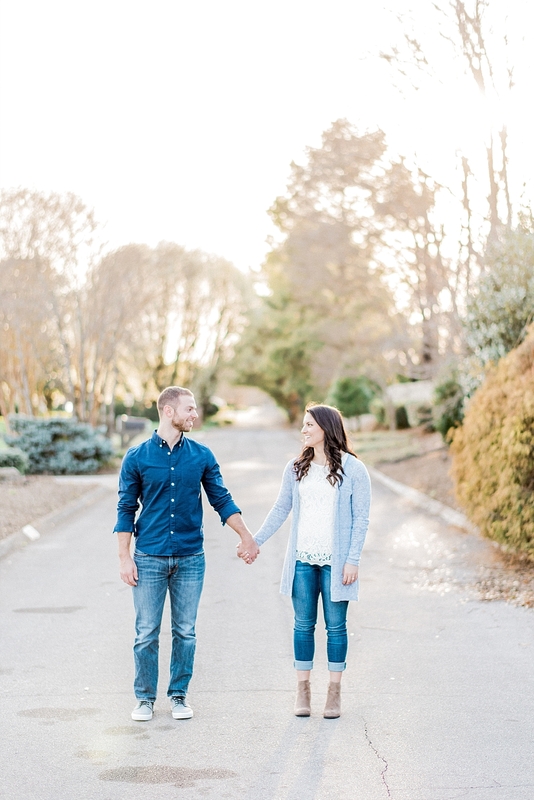 We are super pumped to share these photos, and we can't wait for Kristina and Ben's big day at Mill and Mine in September. 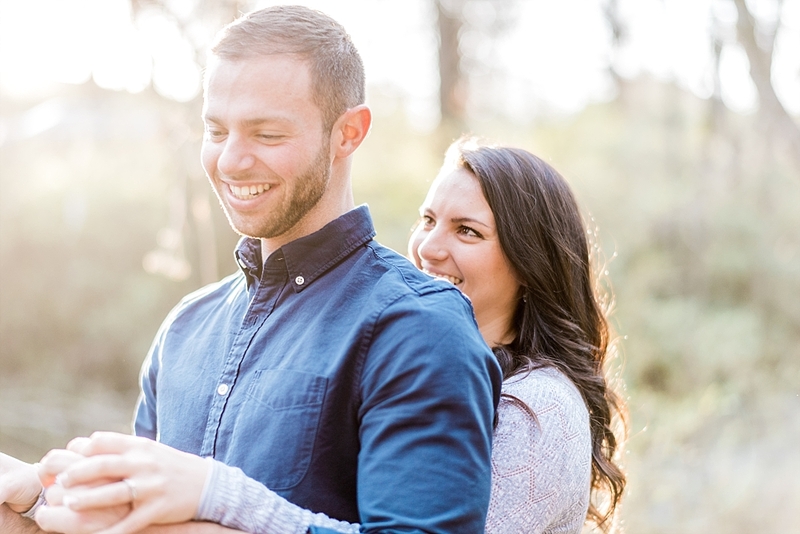 Enjoy these newly created memories!